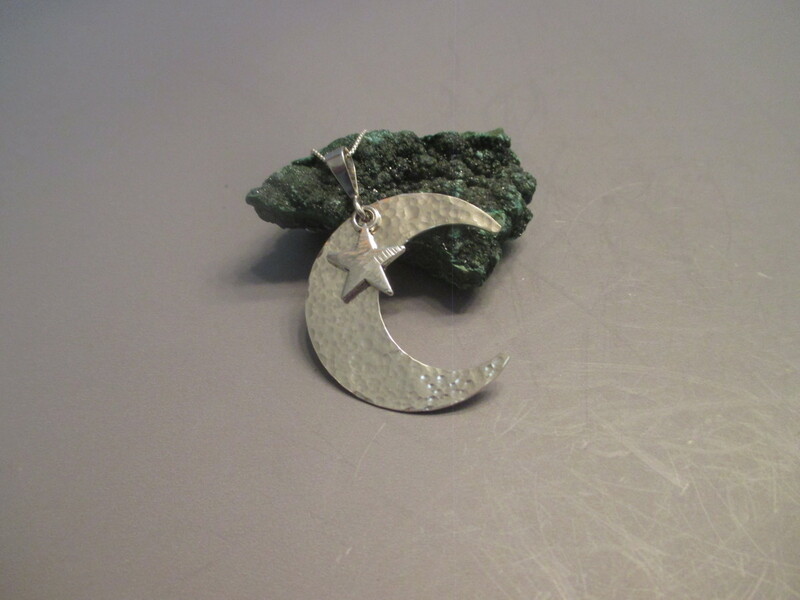 This pretty necklace has a pendant of a hammered sterling silver moon. I have added a small hammered star pendant . The pendant measures about 1 7/8" x 1 1/4". It will come with a 20" sterling silver rounded box chain. I do have other lengths available.